Protect your pooch from injuries caused by slipping and sliding with a pair of cute PAWks™ anti-slip dog socks in the Hangry Monster pattern! Solve the slipping concerns of older dogs and those with hip and joint problems with this adorable solution! Keep younger dogs from safe as they're careening around corners indoors and protect your floors from scratches too! 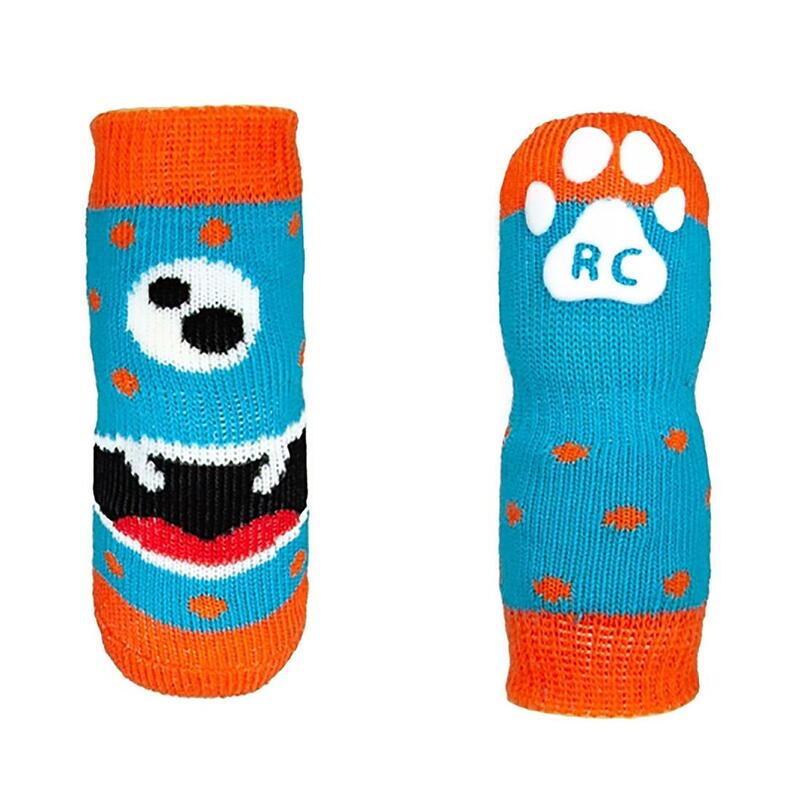 These cute dog socks feature an original RC Pet graphic pattern in orange and turquoise with a hangry monster and polka dot pattern. These dog socks feature a rubberized anti-slip paw print on the bottom to give your pup traction on slippery surfaces such as tile, slate, wood floors, and polished concrete. Your dog will love the new-found confidence he or she will have with these original and functional dog socks. These socks feature 95% breathable cotton and 5% Spandex for stretch. Trim the nails for the best fit and to prolong sock wear. Dogs may prance when first wearing PAWks. Distract your dog with their favorite toy or treat until they get used to their new footwear. 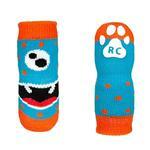 These dog socks are also helpful for protecting paws from excessive licking and chewing. They also help keep your dog from scratching themselves. Great for allergy sufferers! Use with supervision. Our PAWks anti-slip dog socks provide paw protection for dogs with foot injuries, as well as increased traction for older dogs (or dogs with hip injuries). They are cute, stylish and put the "fun" in functional. PAWks by RC Pet Products are a BaxterBoo staff favorite! Let us help you with any sizing questions. Care: Machine wash using a mild detergent. Wash with similar colors. The online chat was so helpful I loved the help !